Let's Encrypt, an organization that will distribute free SSL/TLS certificates, will begin issuing some next month. 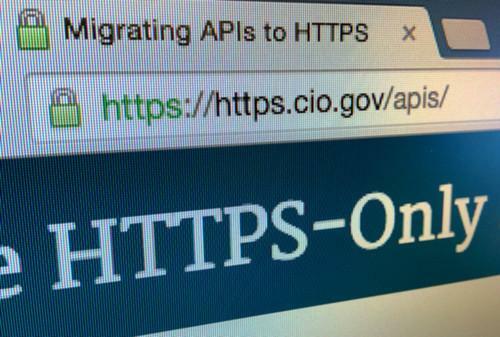 Let's Encrypt, a project aimed at increasing the use of encryption across websites by issuing free digital certificates, is planning to issue the first ones next month. Digital certificates are used to encrypt data traffic between a computer and a server using SSL/TLS (Secure Sockets Layer/Transport Layer Security) and for checking that a website isn't a spoof. Let's Encrypt is run by the Internet Security Research Group (ISRG), a new California public-benefit corporation. Its backers include Mozilla, the Electronic Frontier Foundation, Cisco and Akamai. The first certificates will not be valid unless administrators install the organization's root certificate in their client software, wrote Josh Aas, ISRG's executive director, in a blog post. Certificate Authorities, also known as CAs, have to apply to have their root certificates installed within major Web browsers, but that application process can take as long as three years. ISRG's root certificate will be cross-signed by IdenTrust, a CA that is one of the project's primary sponsors, until that application process is complete. The first certificates will be issued under "tightly controlled circumstances," Aas wrote. Eventually, Let's Encrypt will accept requests for any domain. "This limited issuance period will give us time to further ensure that our systems are secure, compliant, and scalable," Aas wrote. Google, the EFF and other companies and organizations have been encouraging websites to adopt encryption, in part due to secret documents leaked by former National Security Agency contractor Edward Snowden about broad government surveillance operations. But encrypting Web traffic -- signified by "https" and a green padlock in a browser's URL window -- also protects against data theft by cybercriminals. Some website operators may be hesitant to use SSL/TLS certificates because of cost. The pricing models have been characterized as a racket, with customers charged per certificate, type of certificate, how long it is valid for and how many servers its used on. It's not unusual for a single, average EV (extended validation) SSL certificate to cost between US$600 to $800. It's also complicated to set up encryption for large-scale Web services, although major companies such as Google and Facebook have expanded its use. Earlier this month, the U.S. government mandated the use of encryption on all of its public websites and Web services by the end of 2016.